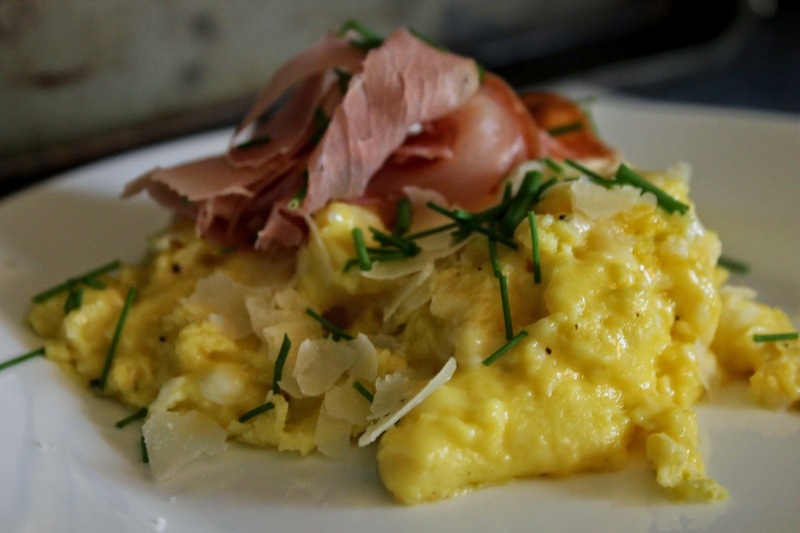 On mornings when I want a simple breakfast that satisfies all my hunger needs: salty, cheesey, & comforting, I go for creamy scrambled eggs with prosciutto and toast. 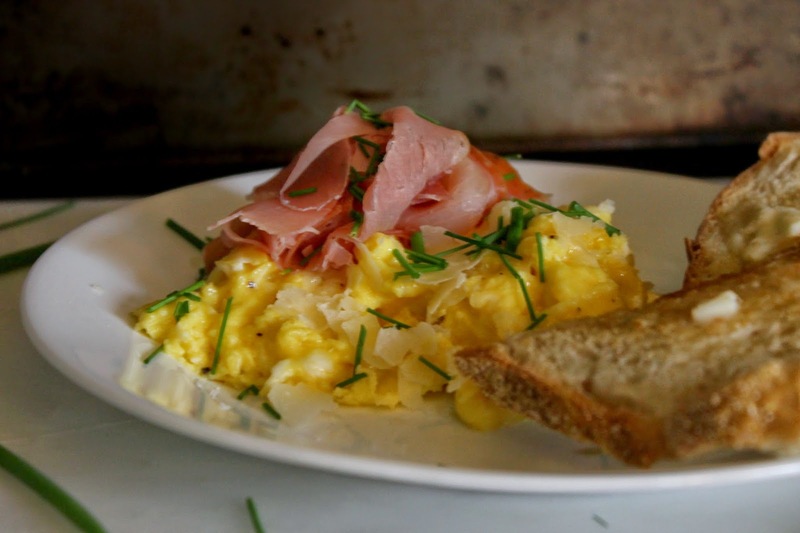 I know, I know, scrambled eggs... what's so special about them? 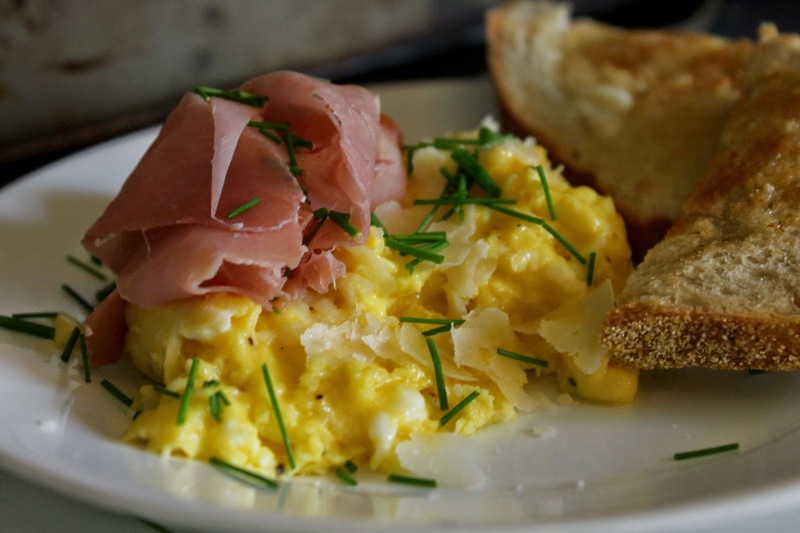 Well, these are extremely quick and easy to whip up and within 5 minutes you'll be scarfing down a breakfast fit for a King or Queen! 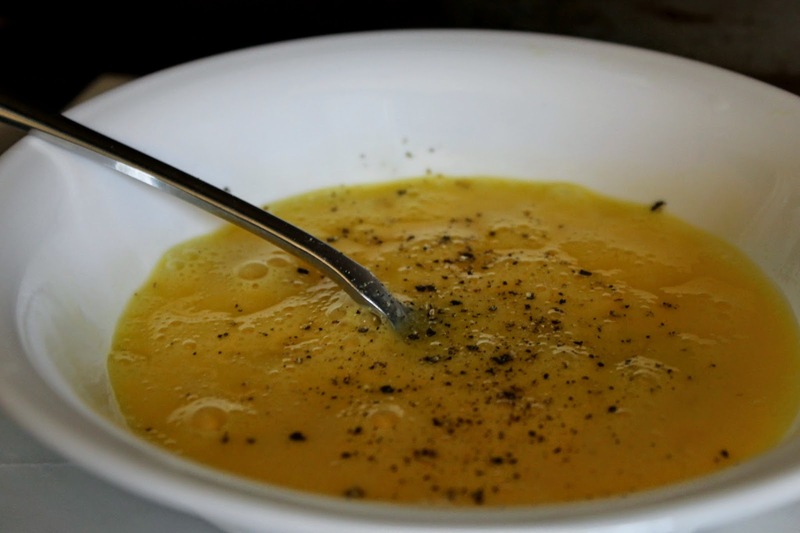 Start by heating up a pan with a tablespoon of butter on medium heat. 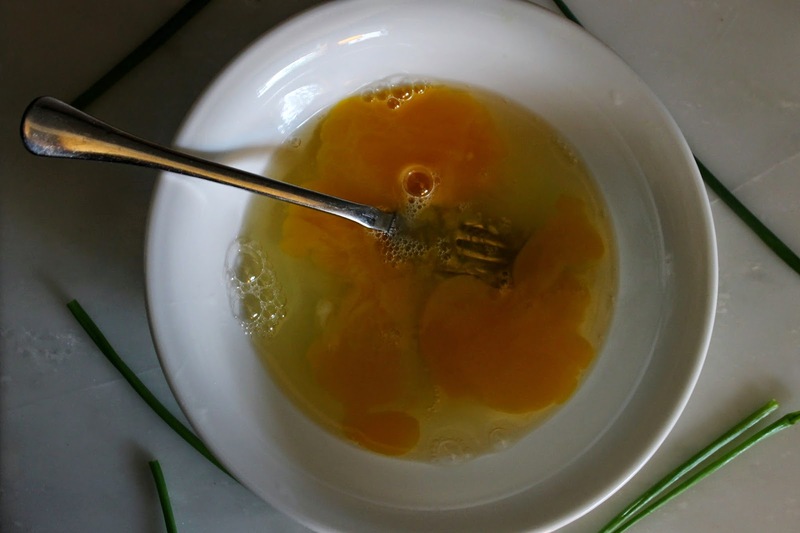 Then start mixing up the eggs. Add some salt & pepper, mix a bit more and pop a piece of bread into a toaster. 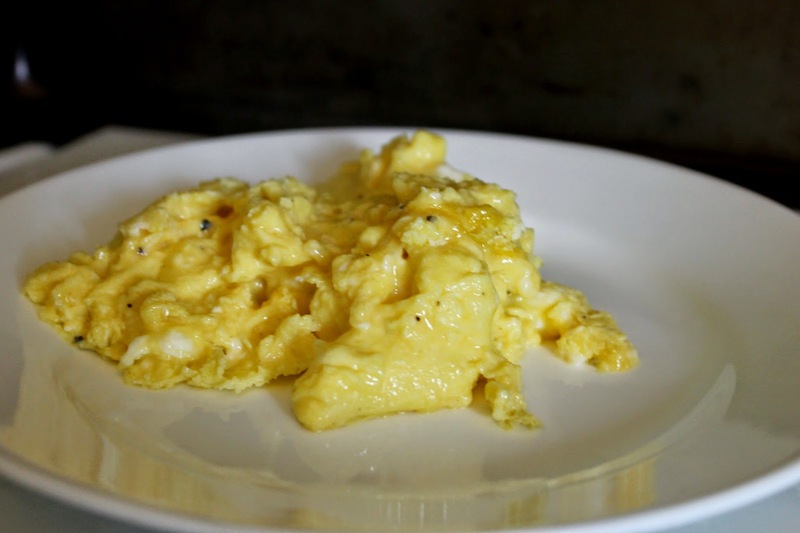 Once the butter is melted pour the eggs into the pan and stir them around for two minutes. 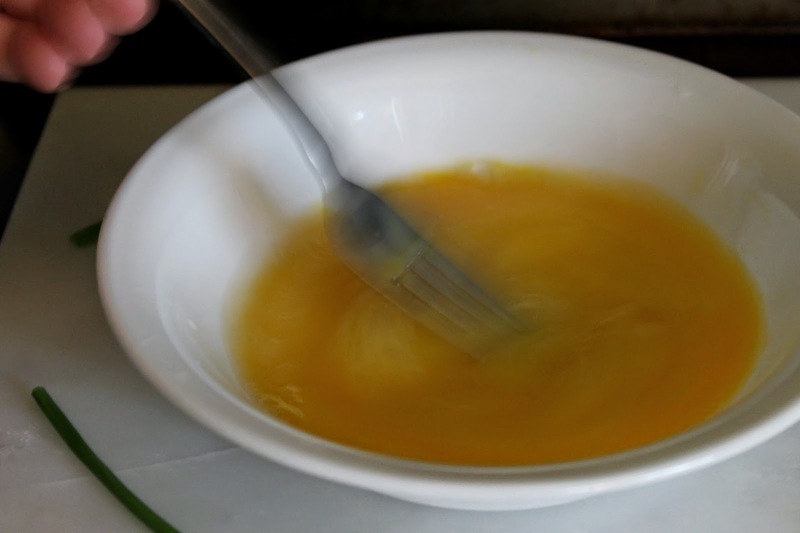 Then remove from the heat and continue to stir the eggs for another minute. Then add the chives or scallions ( I added both) and prosciutto. Butter the toast, sit down, and enjoy! Beautiful. 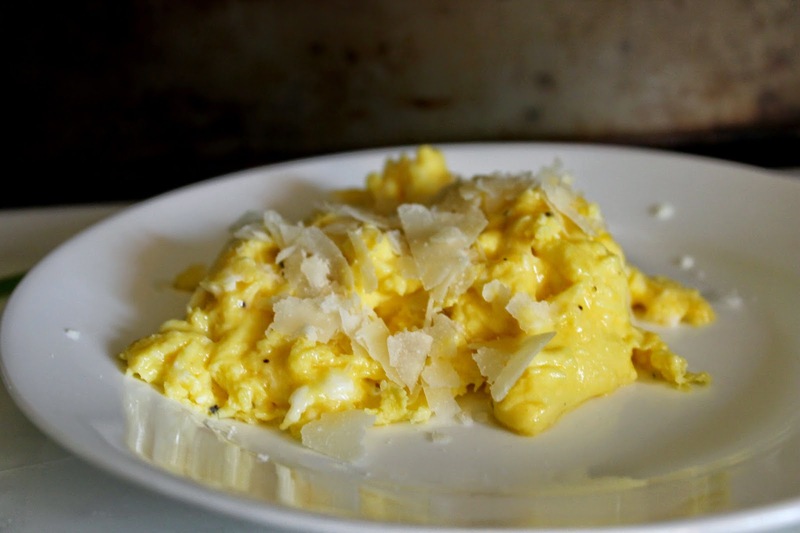 Everyone else in my family likes their eggs on the firmer side. But I love them soft and dreamy. I wonder if The Cheese Traveler has any good speck. A little bit of smoke could be a delightful variation. Thanks Daniel! Speck is a great idea, I'll have to check it out this weekend.